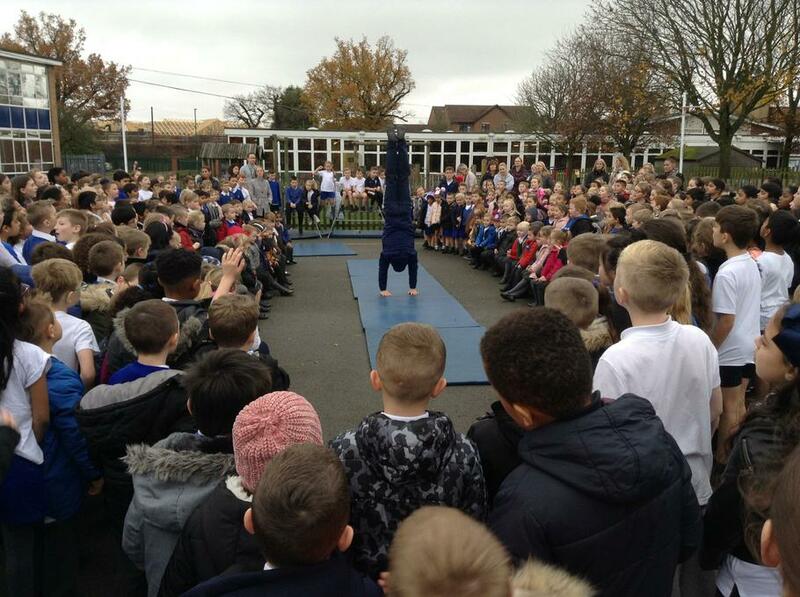 £850 raised from our day withTeam GB's gymnast, Dominick Cunningham! What a fantastic day we've all had here in school! We have been very lucky and have had a visit from an Olympic athlete. 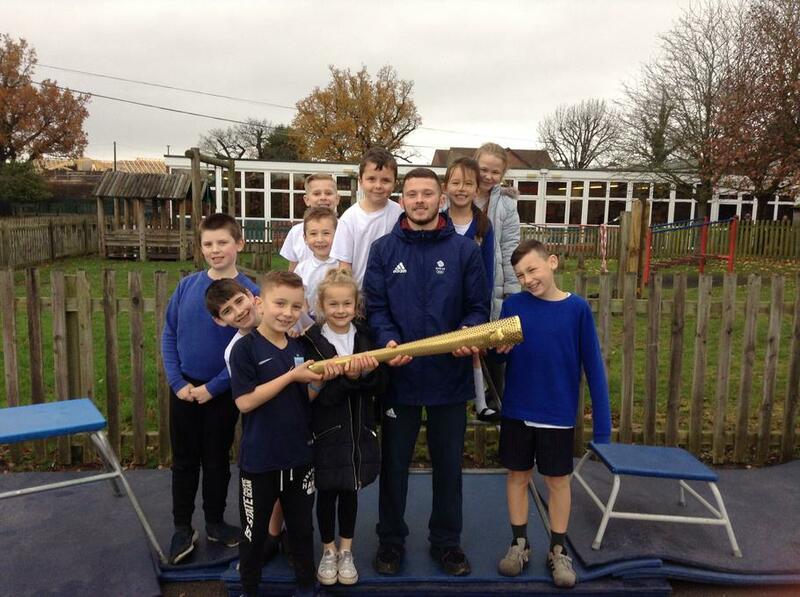 Dominick Cunningham represents team GB in Gymnastics and helped to run a fitness circuit for all the children from Reception up to Year 6. All the children worked extremely hard and did their very best with all the challenges. You have all done brilliantly, so if you have managed to get any sponsorship, then please bring it in to school by next Tuesday 28th November. It has been an amazing day! Well done to everyone that participated! 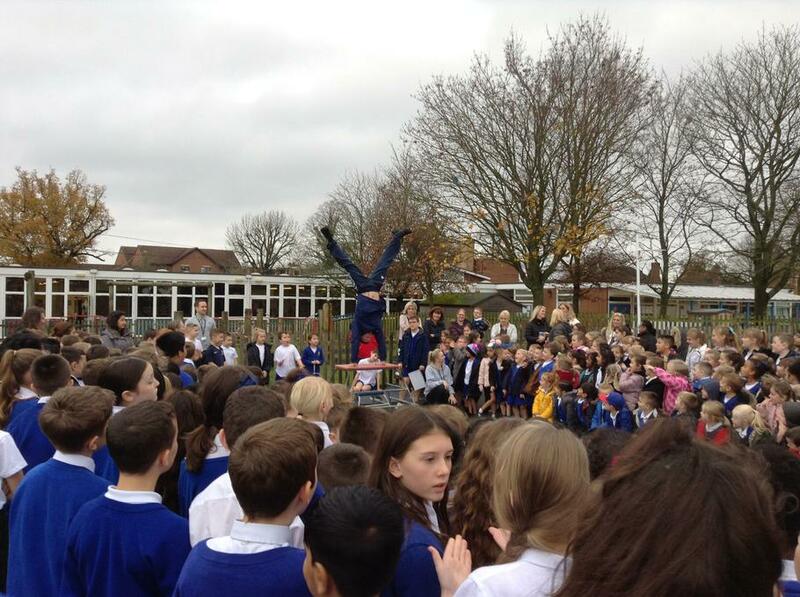 Please check the 'School Sport' section of the website for more photos of our amazing day!